Back in 2016, while travelling to China, I was recommended not to travel without a VPN. I was quite unfamiliar with the technology, so, I Googled it, and honestly speaking, it took hours to decide whether to subscribe or not. So many questions crossed my mind, and some of them lead to further queries. Fortunately, I have found the answers to most of them. I am drafting my experience in this guide, so people like me will get to know more about this revolutionary technology. Why I need to use a VPN? 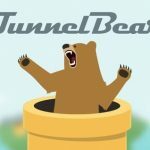 Which VPN is best for me? Is VPN Legal to Use? If not, Why? Does VPN keep me Anonymous? Will VPN slow down my Internet speed? How to boost the performance of my VPN? What else I can do with a VPN? Believe me, the list goes on and on. But for the beginners, who just start using or thinking to use a VPN, this information will be suffice enough. So. let’s dive into more details and get to know VPN. What is a Virtual Private Network? Or, What is VPN? So, what we get so far? A VPN stands for a virtual network of servers which is dedicated to one user only and not for everyone. That’s a literal VPN meaning and a primary job it performs. Here’s a list of 5 best VPNs that fulfill the criteria for offering required basic features + additional security features. As you connect to a VPN, and select a server of your desired location, your IP changes to one of VPN server’s IP and your data goes encrypted even before your ISP or any third-party can see it. The data then routed from your device to the VPN server to your online destination via a protected tunnel created by military-grade protocols. In the entire journey, neither your ISP can track your activities nor the destination website can see your real IP address. The destination website will only look at your data as coming from the VPN server and its IP. Your original IP and location stay hidden when connected with the VPN. The technology sounds quite complicated, but using it is a piece of cake. After you decided which VPN is most suited as per your needs, buy the subscription. Download the app of the VPN provider. Login to the app using credentials provided via email by your VPN service. Select the desired server from the list and connect. Viola! You are all set – Perfectly secure and protected with a VPN. Important Note: VPN support for OS and devices differs from VPN to VPN. Some provide compatibility with all devices, and some are restricted to the most common ones only. You could always check the details on VPN providers’ website or contact them personally via live chat or email. VPN is an Essential Need on the Internet – Accept it! It was loud and clear that VPN is my protective shield against all the odds of the cyber world. I don’t need a VPN just to be able to access my work emails in China, but countless other possibilities are open with a VPN. There are more crucial facts I want to share with you guys. While exploring about the VPN technology, I came across some terrifying stats about cybercrime and online threats. It haunts me for nights as I never took my online privacy and security so seriously ever before. Don’t believe me, check out for yourself. 42 People and Groups are included as the most wanted ‘Cyber Criminals’ on FBI list that grown exponentially compare to the prior years. What is the Threat? More criminals means more crimes and who knows I and you can be the next Victim. The top of the list is ‘Park Jin Hyok’. He is the man behind Sony Entertainment Hack and WannaCry Ransomware who collectively stole $1 billion from the world. 380,000 data breaches reported in year 2018 alone. 54% increased is reported in mobile malware compare to year 2017. 27% apps in Google Play Store Lifestyle Category are malware infected. 20% apps in Google Play store Music and Audio category, followed by 10% apps in Books and References are malicious apps. 33 billion records are estimated by the Norton Cyber security experts, to be stolen by the end of year 2023. 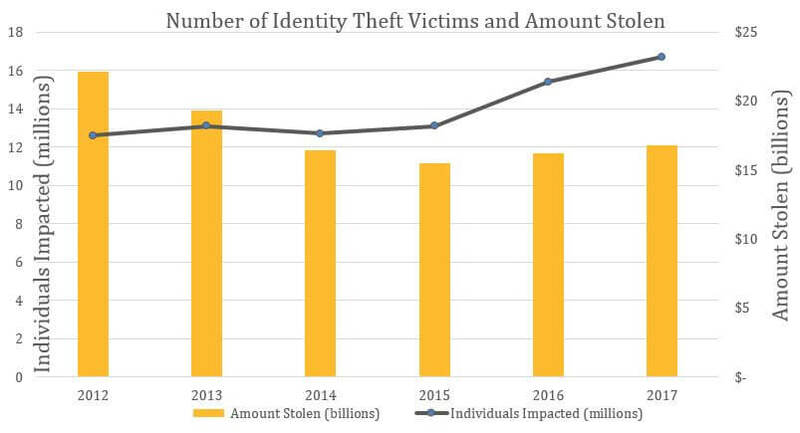 60 million Americans were affected in 2018 due to online data breaches. Coin mining represented the biggest growth area in cybercrime in 2017, with antivirus detections up 8,500 percent.” Not only that, “The growth in coin mining in the final months of 2017 was immense. Overall coin-mining activity increased by 34,000 percent over the course of the year. USA is not alone when it comes to targeted data breaches. 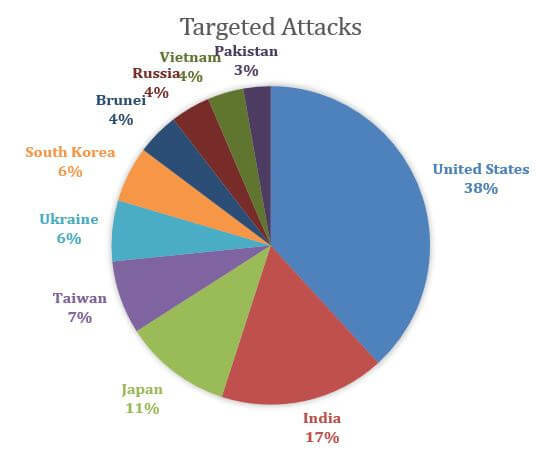 Here’s a list of top 10 most affected countries from cyber attacks between 2015 and 2017 – Data collected by Norton Securities. Aren’t these facts terrifying enough to haunt your days and nights and make you wanna quit social media or the internet itself? To check the reference article for the stats please Click Here! All of these legal laws and organizations are killing ‘Privacy Rights’ by allowing governments, authorities and corporations to monitor, store and sell users’ data. To avoid being the victim of online privacy and security breach, there’s only one solution and that is ‘ANONYMITY’. If you can’t be seen, you can’t be tracked or trapped. VPN main job is to mask you original IP. Doing so will make you invisible from all your enemies on the internet. Internet is filled with entertainment. Netflix, Hulu, HBO Go, Amazon, Foxtel, BBC iPlayer and what not. Streaming has never been this easy and entertaining as it is now. 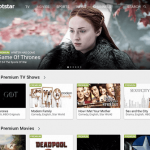 GoT, Flash, Doctor Who, The Originals are some of the TV shows that make an impact on internet users by making them addicted to stick to the screen. Unfortunately, the entertainment is not for everyone. Neither it’s FREE. As it says, nothing is FREE on the internet. People who luckily reside in USA, Canada, Australia, UK, Germany, France, Italy and other parts of Europe have access to these channels. But netizens outside these jurisdictions are unable to get entertained. It means, with a VPN you can be a permanent resident of any country you want – Just like a VPN is you virtual passport. 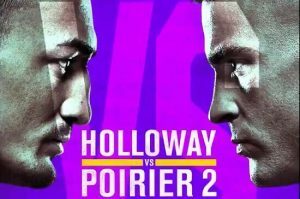 BBC Sports, ESPN, Star Sports, UFC Pay-Per-View, Seven, all these sports channels need no introduction when it comes to live streaming of sports. Geo-restrictions is again hindering your way to get the best out of your internet connection because you did a crime of not being born as an American, Canadian or Australian. Irritating isn’t it? Who cares where you reside, when VPN can do the magic. 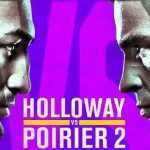 Get a VPN and stream as many sports as you like from any region of the world. Most Sports Streaming Channels need cable subscription. A VPN can provide you the IP to bypass geo-restrictions, but it doesn’t provide you the subscription of the channel. You need to buy it yourself. If your device supports WiFi, it is most likely affected. Public WiFi is a safe haven for hackers and spammers. They can easily trap users by setting an Evil Twin of your most trusted WiFi. You are at the airport or public library; Drinking coffee at Starbucks or having dinner at most expensive restaurant; Visiting a club or staying at hotel; what is the first thing you need? The password of WiFi. Isn’t it? You never know if WiFi is secure or not. If someone is waiting for you to connect to the WiFi and they can easily access your details Everything you send or receive on WiFi can be decrypted easily. To avoid becoming a victim of WiFi scam, you should always use a VPN to encrypt your data. 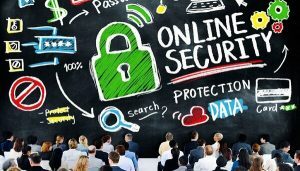 Increasing Data Breaches of Online Stores – Is your Favorite Online Store Hack? Majority of the biggest data breaches of 2018 were targeted to online stores. I am listing a few names here. Believe me, when I saw the list, I was shocked to my core as I myself a regular visitor of those online stores. Who would have known that buying a pair of jeans or a hardware can leak their personal information out in the world, but it actually happened. In the last two decades, numerous data thefts have been conducted on major online stores, lotting the personal data of millions of users, including credit card and online banking passwords. Why take the risk, when you can easily protect yourself with a VPN. Use a VPN that provides army-graded protocol security and encrypt all your data with upto 4028 bit AES encryption. Even if your online store got hacked, your data would remain safe. Pay Less With A VPN When Flying Next Time! Do you know that airfares changes based on your booking location? You don’t. That’s BAD! I didn’t know it either. But now I do. When I read an article on saving money on airfares with VPN, I didn’t believe at first. I said to myself, ‘What a Joke?’. To test the authenticity of the claim, I booked my Changhai flight from UK, but using the IP of Tokyo, Japan. I have already checked the rates on the internet with my original IP. When I booked the flight, I saved $120. Amazing it was! Not only airfares, but hotel bookings, online books, software, and hardware have the same phenomenon. In many countries, VAT is applied on online purchases which you can skip by using the same country IP. VPN helps you save your money by giving you access to any country’s IP. Connect to the VPN and purchase anything at lower prices. Why Spent on Making a Call when you can simply Voice Chat on Whatsapp or IMO – Don’t You? Who doesn’t know about Whatsapp, IMO, Viber and Skype nowadays? Long gone are the days when we used to call via landline or SMS each other for day-to-day conversations. Now, you can simply WhatsApp or Viber anyone, anywhere, anytime at free-of-cost. But not all the countries are happy to provide this free communication service to their citizens. They pursue a lousy tactic to block VoIP calls. So if you are in any Middle Eastern country especially UAE, you won’t be able to use these services. To keep the Telecommunications like Etisalat and Duo happy, UAE Government has blocked IPs from all around the country. If you want to get around these restrictions, you need to get a VPN. A VPN as always trick the ISP and open a backdoor for you to make a Call via Skype or WhatsApp. But for that, you need to uninstall your VoIP app first as well as you need to set your Appstore and iTunes store of that particular region, which IP you are going to connect with. Torrenting is not safe – You can be Jailed. P2P technology in itself is not illegal, but the technology has been used mainly for unethical and illegal activities like downloading movies, TV shows, and software. In many countries like USA, Canada, and Australia, there are laws imposed by the House of Senate to stop Peer-to-Peer technology. Apart from that, big corporations and media houses are lobbying against P2P users and putting them in jail for downloading copyrighted content. If you are in Australia, and you are downloading a movie or GoT new episode, do you know what can go wrong with it? Well, let me give you a clear picture. Your IP is naked since you are not protected by any security tool. Your ISP can track all your activities, and as you start downloading the GoT episode, your ISP will be notified. The ISP will then inform to the Infringement law authorities giving all your detail. In just 24 hours, you will become a criminal breaking a law of the country. And probably in 48 hours, your internet connection will disconnect for life as well as you might end up in jail for long five years. If you do not want all this to happen to you, either leave the craze for GoT or buy a VPN. As mentioned earlier, a VPN will hide your IP and encrypt your data so that your ISP can track them. If you are a digital marketer, you must have known how vital is Off-Page SEO for optimization of any digital business. To do the job, SEOs and digital marketers need to access forums and communities only accessible in a particular region. To run paid ads and campaign in the different areas of the world, they need to connect with particular region’s IP. Who can do the job better than a VPN? VPN is not only a source of entertainment, but it helps users to boost businesses and optimized websites. The gaming industry has evolved like never before in the last decade. After CS and Dota 2, the gaming industry has moved from Mario games to MultiPlayer online games. Many online games are only restricted to specific regions only. Lags and Latency plays a vital role in MMORPG games. In certain games, you can only get access by connecting to a specific region IP. Here once again, VPN comes as a savior, but not all VPN can do the job. Only VPN providers with optimized gaming servers can help you achieve the goal. Most VPN servers place at far distance increased your latency which means that if you are playing a game and your enemy is out there, you would be long dead or attacked before you even know it. It is suggested that gamers should check with VPN providers if they offer gaming optimized server or not before making the purchase. VPN was first created to connect employees located at distant regions with the head office. Now the technology has evolved further. Businesses use VPN technology to connect its remote employees with head office. Not only online security is ensured this way, but it will also give them quick access to the private email IDs which are encrypted and protected. Isn’t it just WOW! How one single technology can do so many jobs at once. But wait! If you are convinced, which I am sure you are, to buy a VPN subscription – the question is Which VPN is the BEST? Here the judgement requires a great knowledge of technological factors. Believe me, it took me a month to get familiar with the contributing factors. 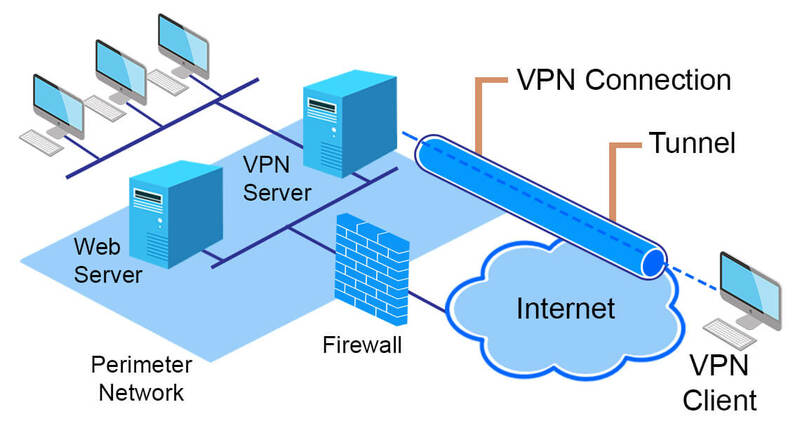 Let’s briefly explore the factors involved in the process of VPN. There are many factors when combine together provide a VPN service, that is fast as well as secure. We will go through each and every factor and explain it in detail. On your plain data, VPN apply secret codes (keys) and transform your data into encrypted one which cannot be decrypted by anyone but the destination website. Encryption is an essential ingredient of the best VPN service. What we have to understand is that a VPN provider encrypts your data with at least AES 128-bit Encryption. Some VPN providers offer encryption level with AES 256-bit and more including ExpressVPN, NordVPN and HMA. VPN protocol is the mechanism which determines how your data will route between your device and the VPN server. Every VPN protocol has a different specification, offerings, and benefits. Some VPN protocol prioritizes speed while other gives more importance to security. OpenVPN – It is an open source protocol that can be easily scrutinized for vulnerabilities. It is one of the most common VPN protocol that uses AES 256-bit encryption with 2048-bit RSA authentication and a 160-bit SHA1 hash algorithm. OpenVPN is well-considered for privacy and security, but, in the past, it was criticized for slow speed. Engineers have made many implementations in the protocol which has resulted in a boost in its speed. OpenVPN works with almost all devices. L2TP/IPSec – Layer 2 tunneling protocol (L2TP) is a joint product of Microsoft’s PPTP and Cisco’s L2F protocol. L2TP itself doesn’t provide any encryption, it always bundled with security protocol like IPSec. Once combined, L2TP/IPSec becomes one of the most secure VPN protocols. L2TP/IPSec uses AES 256 bit encryption. Reportedly, there are no known flaws found in L2TP/IPSec, but there are reports that NSA has already compromised the protocol and can easily see what data has been transmitted through the internet. L2TP is bound to use port 500 and restricted to particular platforms only. SSTP – Secure Socket Tunneling Protocol is the most secure protocol considered. It comes with one significant benefit, and that is the compatibility with all Windows version since after Windows Vista. Windows develop the protocol, so users can not fully scrutinize it for vulnerabilities. SSTP uses 256-bit SSL keys for encryption and 2048-bit SSL/TLS certificates for authentication. SSTP can be used only on Windows and Linux. For Android and iOS, a user will need to set up third-party apps. IKEv2 – Internet Key Exchange Version 2 protocol is a combined creation of Microsoft and Cisco. IKEv2 is itself only a tunneling protocol, and that is why coupled with IPSec for encryption. IKEv2 is more popular in mobile VPN solution as it is adaptable and connects during temporary internet connection loss, as well as during a network switch from WiFi to Data or vice versa. PPTP – A point-to-point Tunneling protocol is the oldest, or we can say the beginning of a VPN service. It is the least-secure VPN protocol that offers excellent speed. This is mainly used to access streaming websites that require fast connection speed with less encrypted protocol. The usage of VPN has rapidly increased over the last few years. Not all VPN users are familiar with lengthy setup processes. Having a native VPN app makes it more convenient to use, and it has become a prerequisite for a VPN to have dedicated apps for commonly used operating systems. Many features are offered by only a few VPN providers and not by all. Here, we are providing a list of all those additional features. If you are purchasing a VPN service and you find these features in the service pack, it means the VPN provider is reliable and secure. Kill Switch – It is an option that protects users on the internet, even when the VPN connection stopped momentarily. Split Tunneling – It is an option that helps users route only particular traffic via VPN while enjoying the same speed of ISP for other activities. DDoS Attack Protection – The option is usually available in business VPN or corporate VPN to protect users against DDoS attacks. Double VPN – Only a few VPN providers offer the option of Double VPN that is highly secure as it is protected by 2 VPN servers. VPN over Onion – A very few VPN providers offer the feature of using a VPN with Onion router (tor) for an additional layer of online protection. WebRTC – Web Real-Time Communication is a mechanism which is used in related web voice, video, or file sharing capabilities. This open-sourced tool connects with other websites to send or receive audio or video online. In this process, the site can ask for your real IP rather than the VPN IP. To protect such an incident, WebRTC leak option is offered by VPN services. This is too much technical information to digest at once. Let’s move ahead and shed light on some basic concerns for a change. VPN technology is legal but using the same technology for illegal actions have raised a lot of questions on VPN itself. In many regions, using a VPN, masking your IP and encrypting your data is considered illegal. In UAE using a VPN is illegal. If the Cyber cell of UAE catch you using a VPN, you will be punished with jail time and monetary charges. Similarly, in Australia VPN is considered illegal. Does VPN slow down Internet speed? No, a VPN itself doesn’t slow down your internet speed. There are many factors involved that can affect your internet speed including protocols you are using, your ISP speed, distance of the VPN servers and the level of encryption. Sometimes ports also impact the internet speed. If I have nothing to hide, do I still need a VPN? If you are not a celebrity, doesn’t use online banking or have sensitive information on your social profiles, still you will need a VPN for many reasons. What if you want to access Netflix or Foxtel or BBC iPlayer? Don’t you need to save money on your air tickets? Don’t you want to download files via P2P? Most of all, will you allow your ISP and government to monitor all your online activities and read your messages? You surely wouldn’t want that. For all these reasons, you will still need a VPN. Is it TRUE to say that ‘VPN’ is our superhero to save us against the evils of spying, surveillance, censorship and geo-restriction? Yes, it absolutely is. 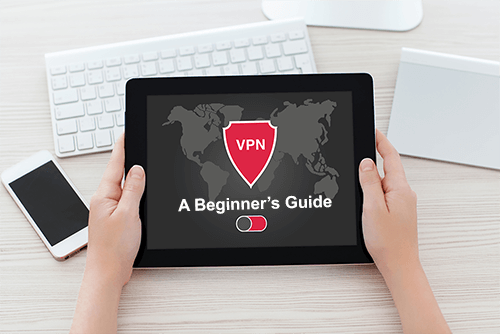 After giving you a proper introduction of VPN and how it works, I have provided you a brief list of uses and advantages. So, I bet you are now if not an expert on VPN technology, at least got the basic Idea on what is VPN? How it works? And why one should use it. That’s it for now, stay connected with us for more detailed guides on online privacy, security and how to tips. 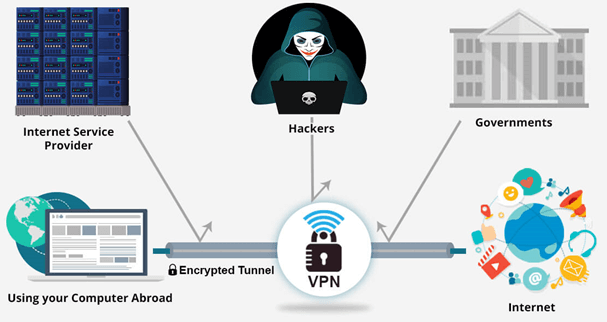 VPN history dates back to 1996 when a Microsoft employee developed the Peer-to-Peer tunneling protocol (PPTP) to create a more private and secure connection between user’s device and the internet. As the internet getting more and more advanced, newer vulnerabilities are arising every day. 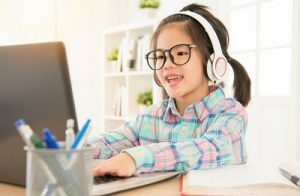 Anti-virus and other security software could be effective preventing the damage at the end-user level, but the need of the hour is to protect the connection itself. Initially, VPNs were only limited for corporate or business level, but as more and more data-breaching events start occurring back in the 2000s, VPN technology becomes more popular among netizens. Now, VPN is widely used to secure internet connection, prevent malware, ensure online privacy, unblock restricted content on the internet, and masking your IP.